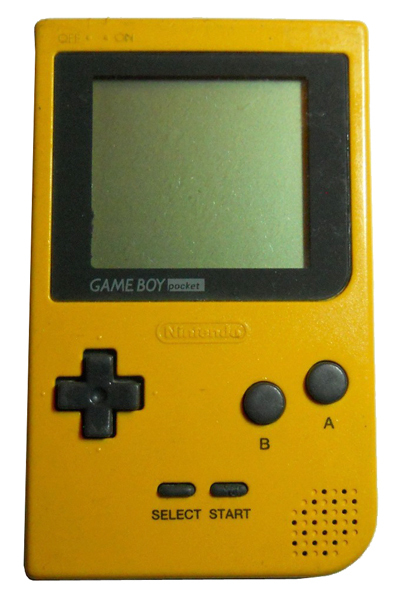 Here it is, the handheld that started it all. There’s still something cool about holding one of these relics. 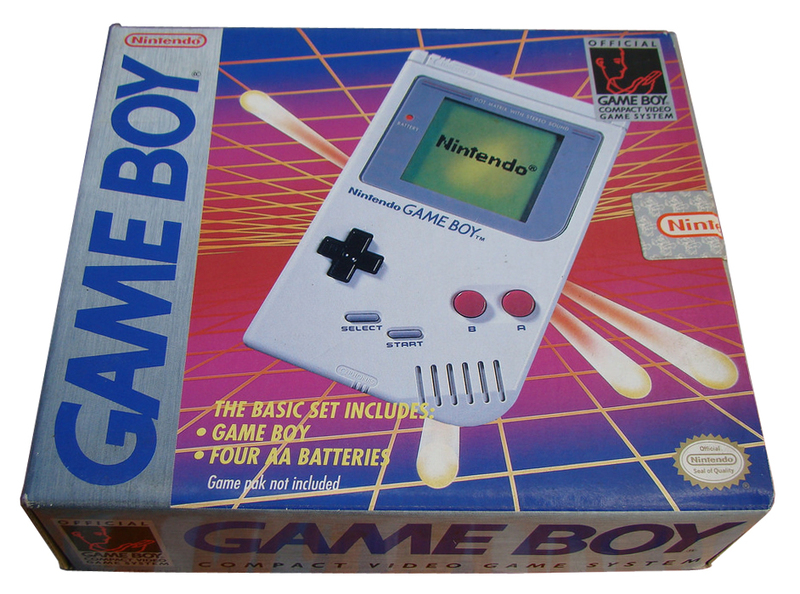 Nintendo entered the handheld market with the release of the Nintendo Game Boy in 1989. 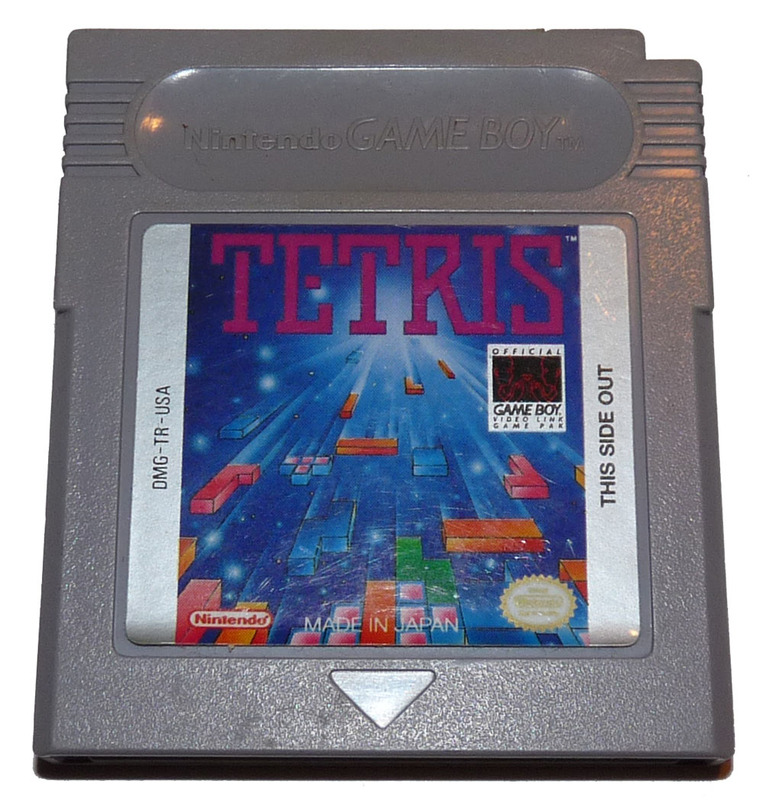 The original pack-in was Tetris which helped the system fly off the shelf. 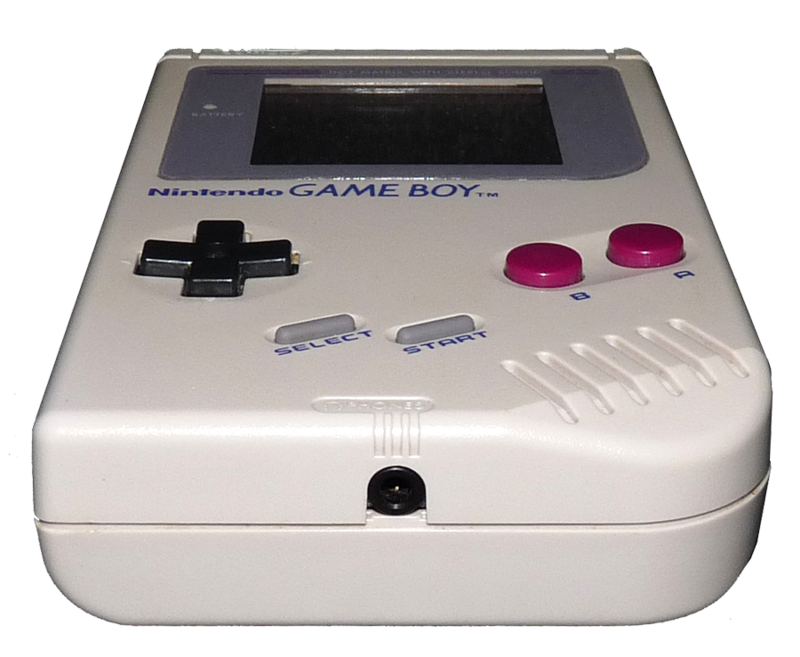 The Nintendo Game Boy planted the flag for Nintendo’s dominance in the portable gaming world and has not been dethroned yet. There have been attempts, but no one can come close to the wide spread appeal of nintendo’s handhelds. And this was the first. While many of the games are harder to play these days simply due to the graphic quality, there are plenty that will always stand the test of time. Good battery life, sturdy construction, massive game library and original ipod-like coolness are what it sports. If you don’t own one of these, are you truly a gamer? The controls are laid out similar to a NES controller with a screen attached on top. You’ve got your D-pad, Select and Start buttons and A & B action buttons. Above the controls is the dot matrix screen (the systems model number DMG is an acronym for Dot Matrix Game). This screen leaves a lot to be desired by modern standards but it did the job as long as you had a good light source as it is not back-lit, so no playing in the dark with this guy without and attachment. 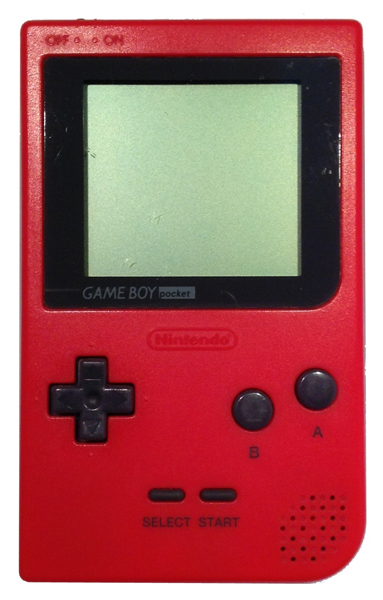 The Game Boy will display 4 “colors” and I use that term loosely. It’s actually 4 shades of light to dark grey, and even then it’s not really grey, but more of an olive-green color on this original dot matrix screen. 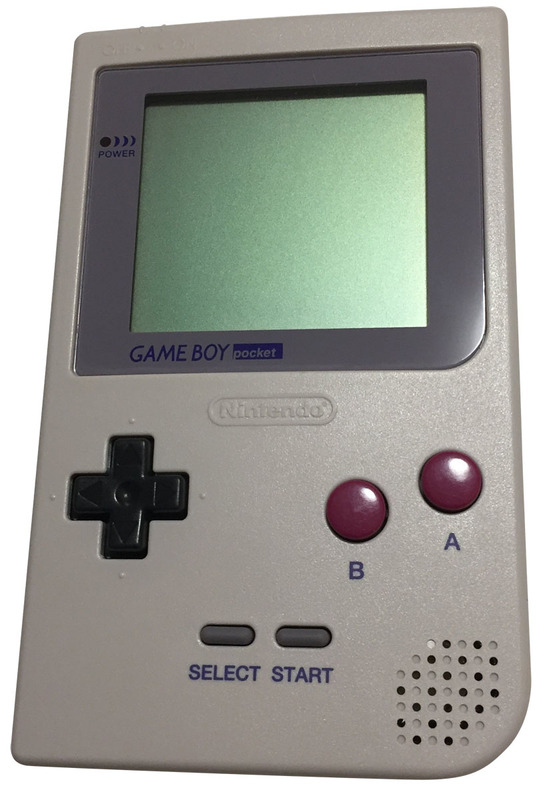 The lone internal speaker for the original Game Boy is located at the bottom right corner. On the right side of the unit there is a volume control dial and an EXT connection port that can be used with the link cable and a handful of other accessories. 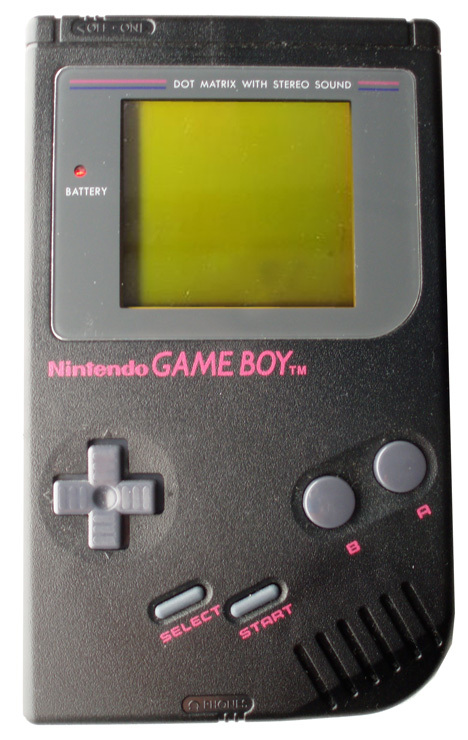 On the left side of the Game Boy is a contrast dial for the screen and an AC Input port to use with an external battery supply or the DMG-003 power supply. The bottom of the system has a headphone jack, and is the only way to get stereo sound from your original Game Boy. On the top left fo the unit is the power switch which slides left and right and will prevent a cartidge from being inserted or removed while in the ON position. 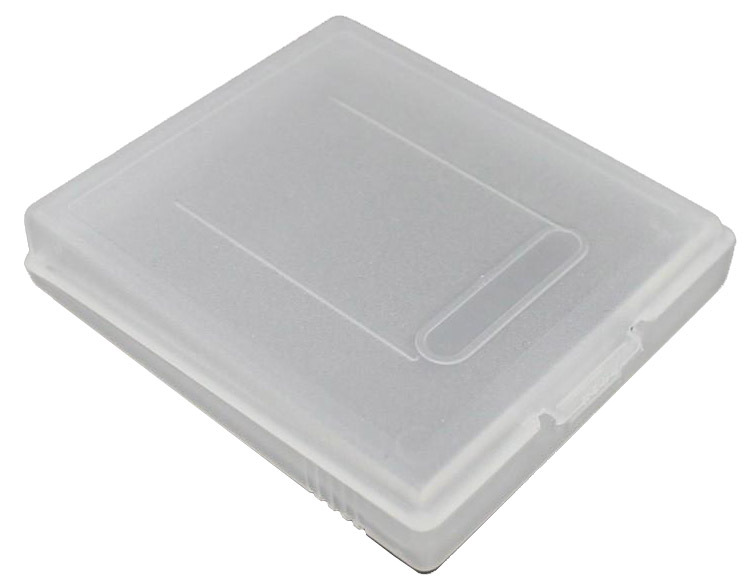 On the back we have the cartridge slot. Games slide in and sit snug and flush against the machine. 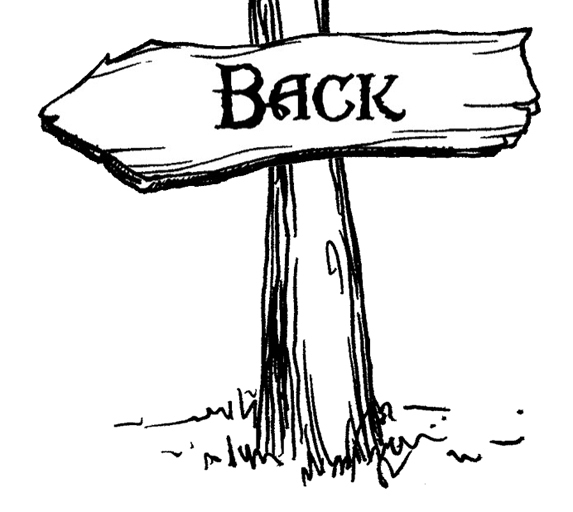 The game label faces out. Below that is the battery compartment. 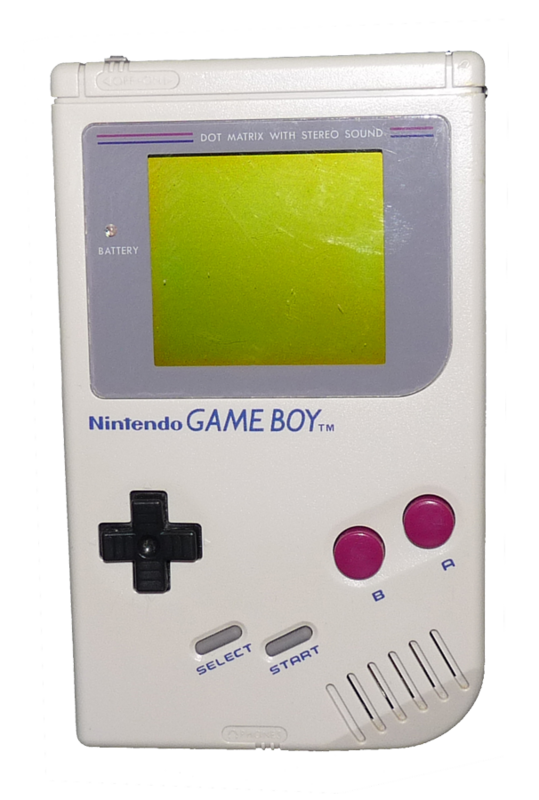 The original Game Boy requires 4 AA batteries to run and should give you almost 15 hours of game time, not bad! After alomst six years with no major changes to the system Nintendo released a line of system that came in multiple colors with their “Play It Loud!” campaign. The colors are red, yellow, green, blue, black, white and clear or transparent. This was the beginning of a trend that Nintendo would continue even up to its latest systems. 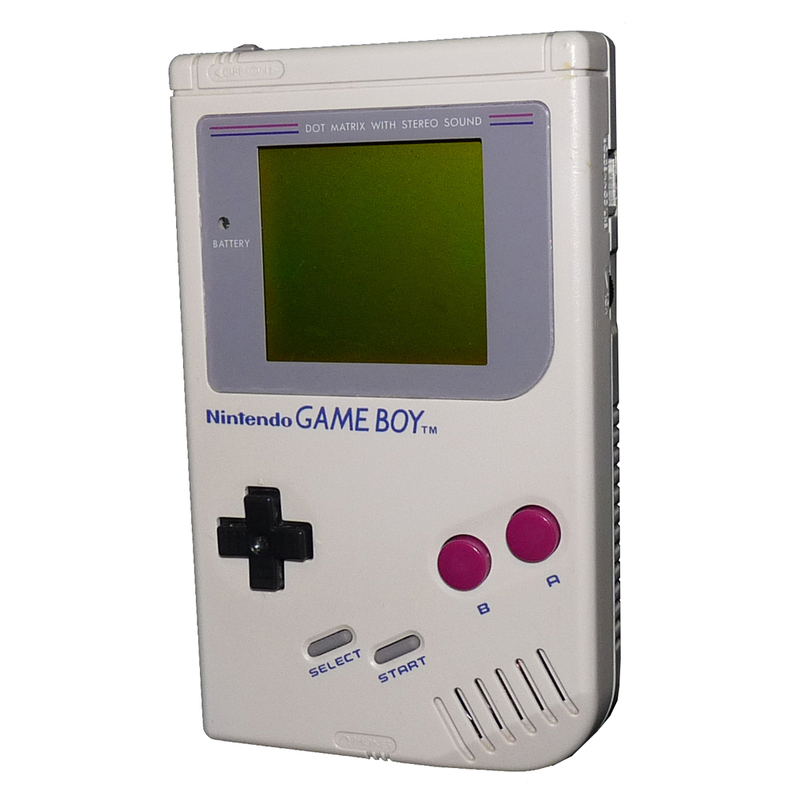 Outside of the different color of the case, the specs and controls for the system remained the same. 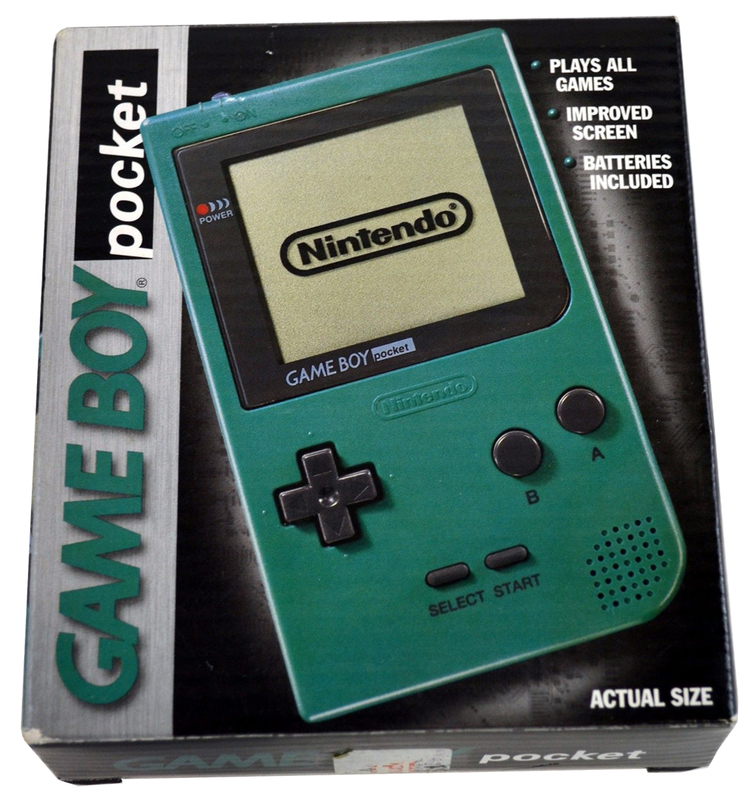 The Nintendo Game Boy Pocket is a smaller, lighter redesign of the original Game Boy. Even thought the unit is smaller, the screen is bigger, 2.5″ diagonally! The screen color on this guy is also more black & white vs. the green cast on the original and doesn’t have the blur issue that the original Game Boy displayed. 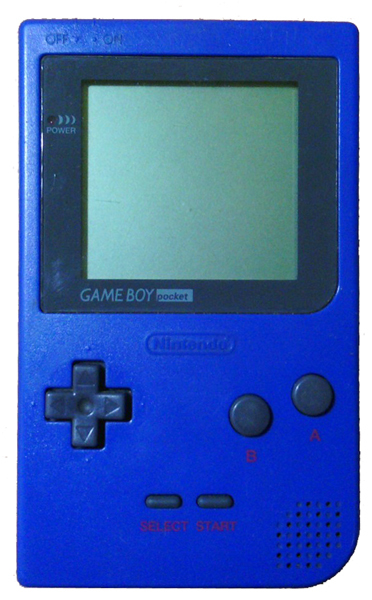 The Japanese version, called the Game Boy Lite, was this same unit but with a back-lit screen. 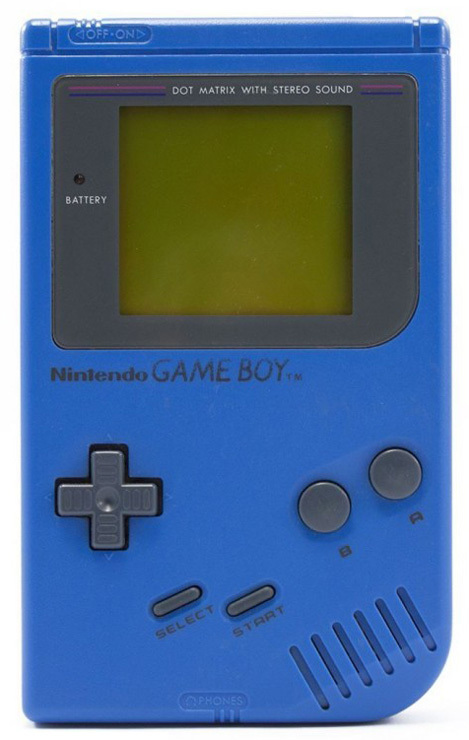 In the U.S. we would have to wait for the Nintendo Game Boy Advanced before we got back-lit Nintendo handhelds. Outside of that hardware changes you get all the same ports as the original. The front of the machine has all the same features with the Select and Start buttons now horizontal vs. diagonal. 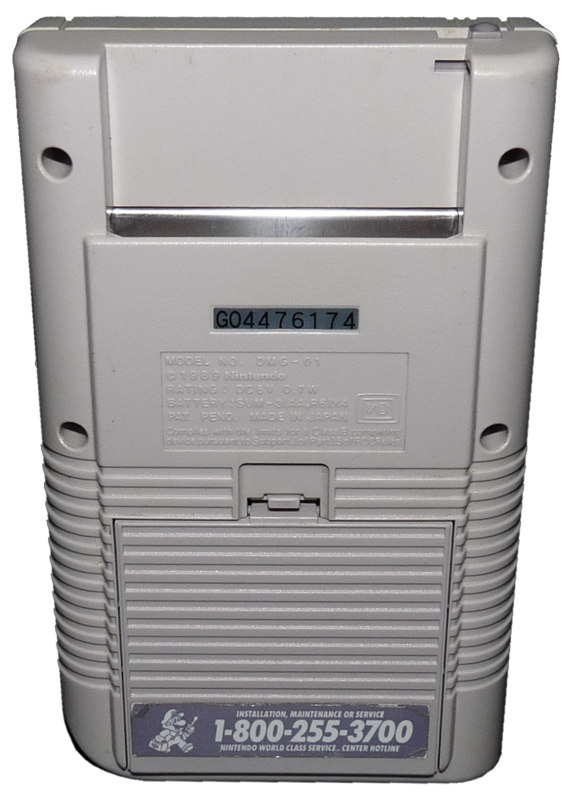 The left side of the Game Boy Pocket now has the EXT port which has changed but can still be linked with the original with an adapter for head-to-head play, this is the same smaller version of the port found on all Game Boys from this unit on. Below the EXT port is the volume control dial. The right side of the unit has the Contrast dial for the screen. The AC Power Port in now located on the bottom along with the Headphone jack. 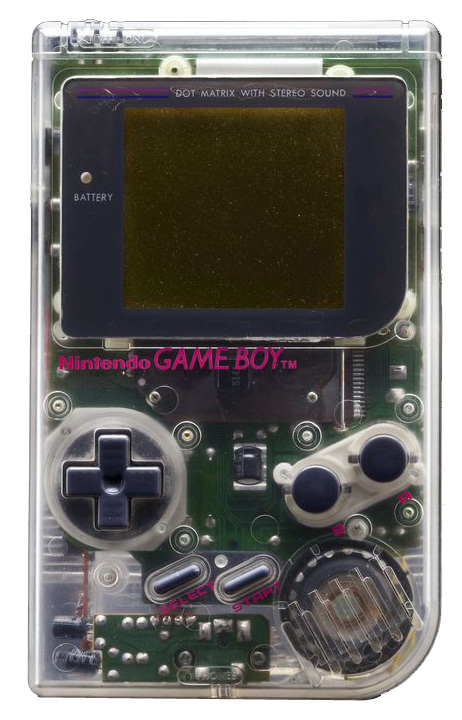 The Nintendo Game Boy Pocket uses a different power supply MGB-005, from the original Game Boy DMG-003. 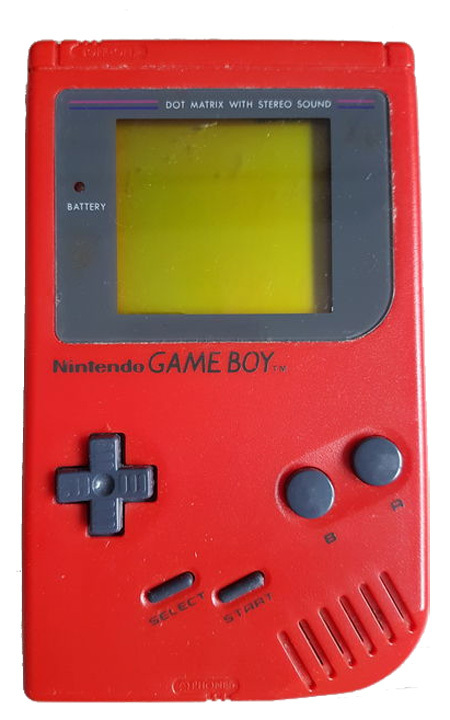 The back battery compartment is located in the same place on the back of the system but now only requires 2 AA batteries for about 10 hours of life. This is a handsome little machine and I prefer to use it over the original, although I still like having an original around. 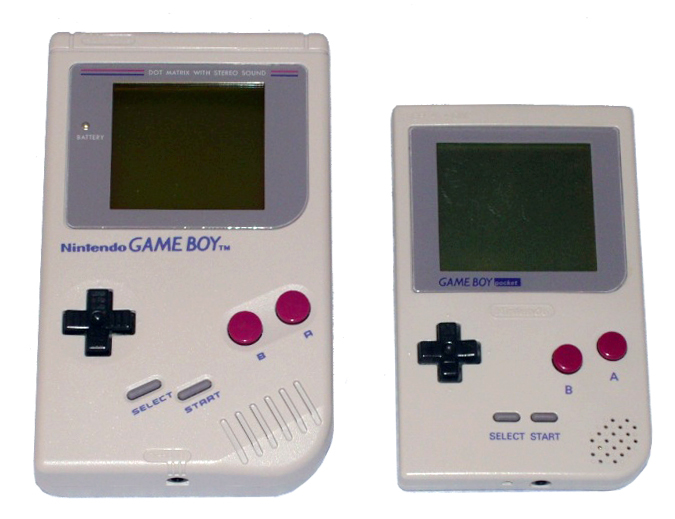 The original Nintendo Game Boy vs. the Game Boy Pocket. 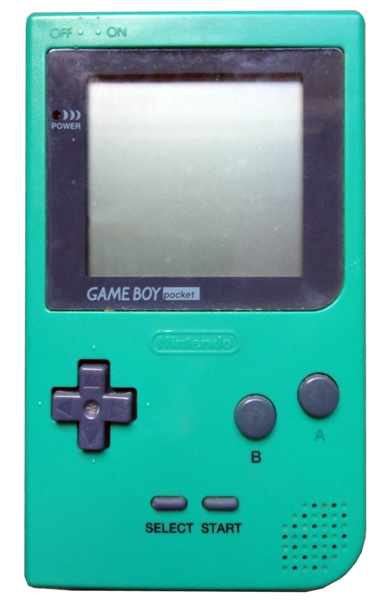 Much like the original Game Boy, Ninendo released a slew of color options for the pocket. 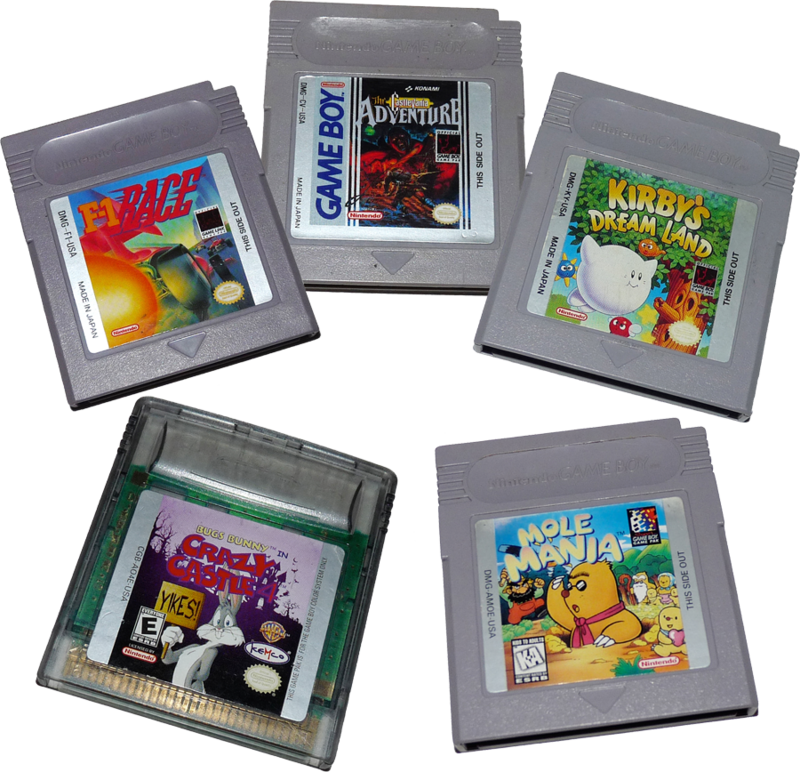 With the Nintendo Game Boy specs you’ll find platform games the mainstay of this system but there are also plenty of RPGs, brawlers and puzzle games. All of Nintendo’s flagship titles are here from Mario, Kirby and Zelda to Metroid, Donkey Kong and Pokemon. With all of the various Nintendo Game Boys which game works on which system can be a little confusing but it’s not that bad as Nintendo did a good job with the cart color to help differentiate each game type. The Original Game Boy cartridges are grey in color. When the Game Boy Color was released some color games were also backwards compatable with the original black & white Game Boys. These cart cases are black. So both of these cartridges can be played on the original Game Boy systems. The tiny Nintendo Game Boy cartridges came in a nice square cardbard box. 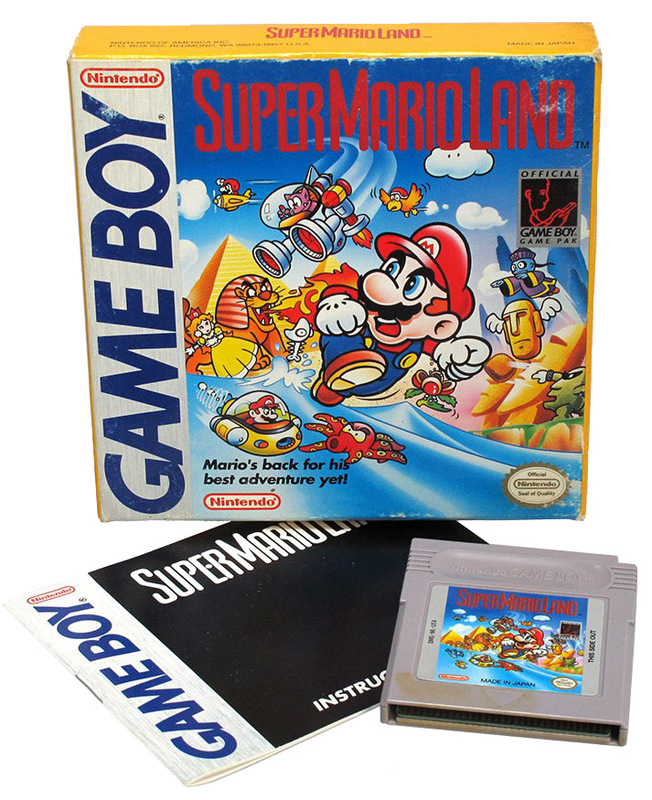 Along with the game you got a nice plastic case to hold the cart and a color manual. Like all classic games that shipped in cardboard boxes, finding them in great condition isn’t always easy. 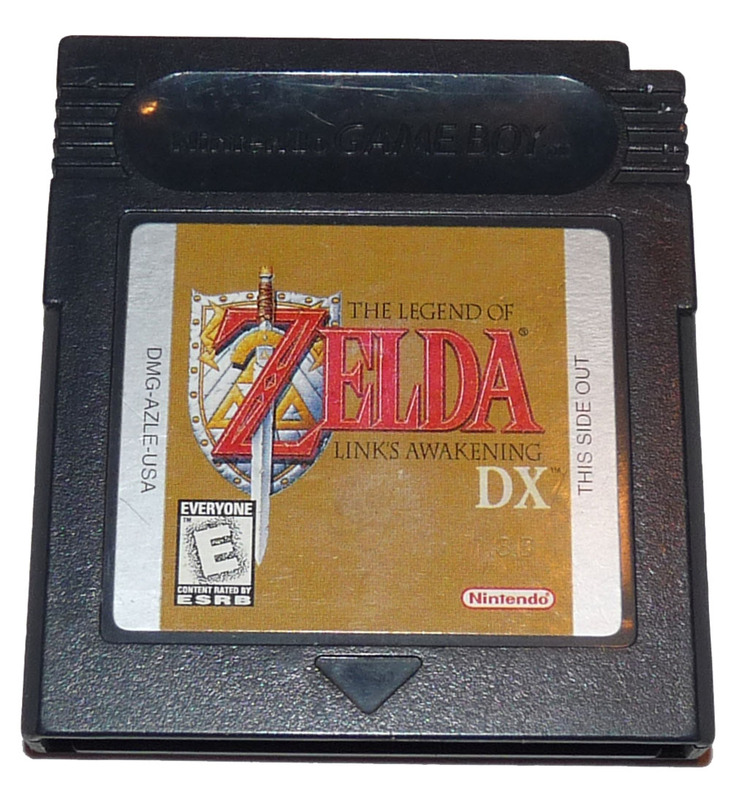 Nine times out of ten you will only find the game cartridge itself. Grey original Game Boy carts. Black Game Boy Color carts.